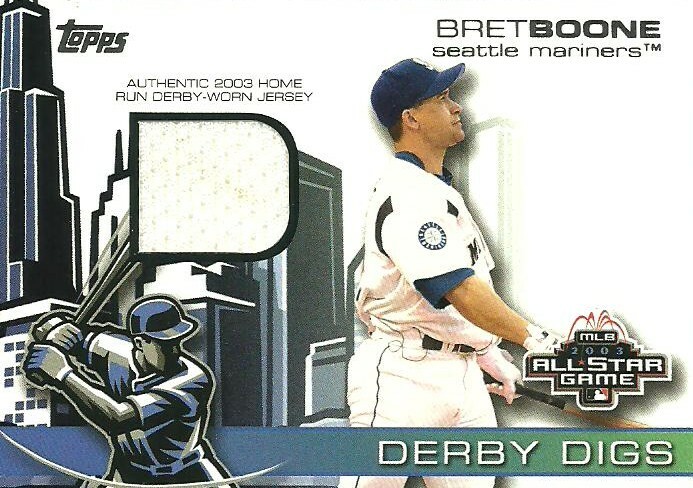 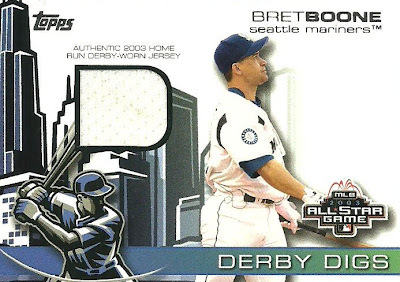 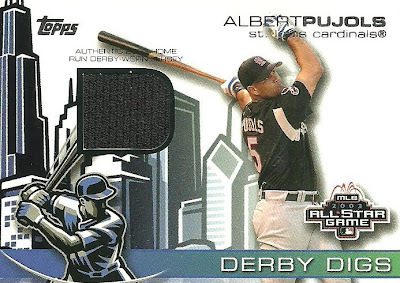 One of my collecting goals for 2010 was to complete the 2004 Topps Derby Digs Jersey set. I didn't make much progress in 2010 or 2011, but decided to put it on my list again in 2012. The set features jersey pieces from the 2003 Home Run Derby. 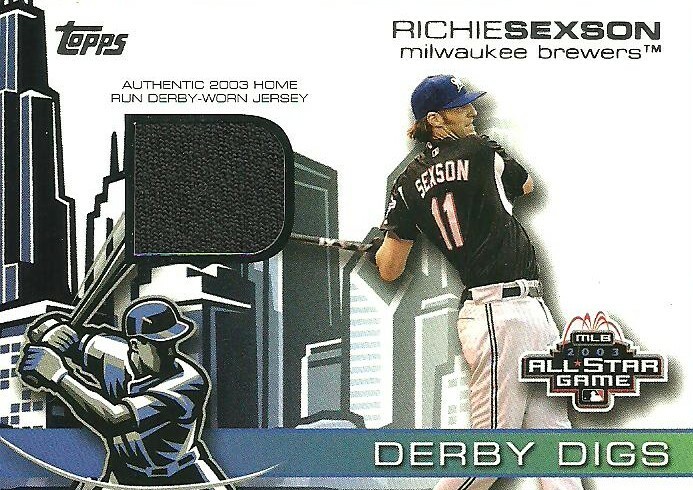 I finally finished the 7 card set on 4/9/12. 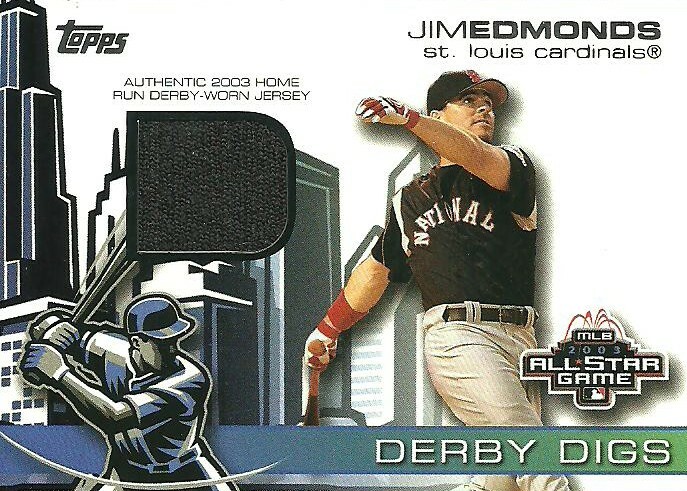 Aren't there usually 8 players in the Home Run Derby? 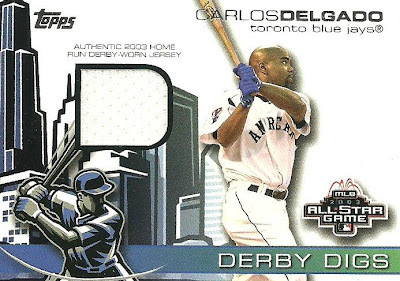 Wonder who they left out. 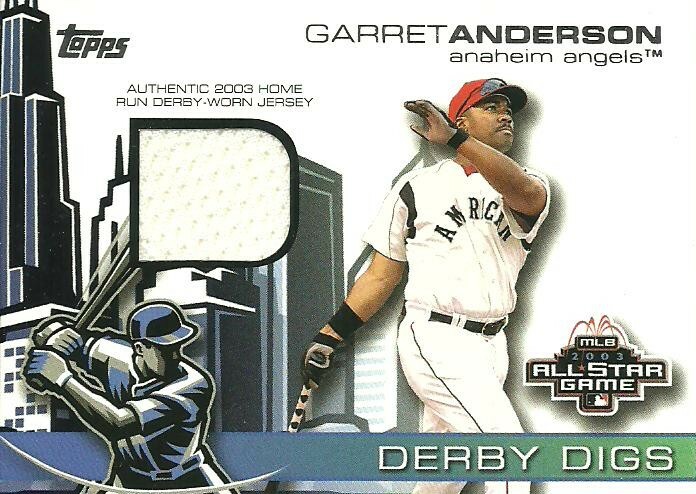 Gary Sheffield is missing. Not sure why.